Freelove Fenner treated those at House of TARG to a set full of light, breezy pop tunes with an emphasis on being short and sweet; it could perhaps be said that the three-piece from Montreal write their brand of pop music with the mindset of a punk band. Early tracks in the set remained curt, catchy and hook-oriented, ending in almost an abrupt fashion before they had a moment to branch out (one song on their most recent LP clocks in at 37 seconds). The trio seemingly saved their stronger, more enticing arrangements for the back half of the set. 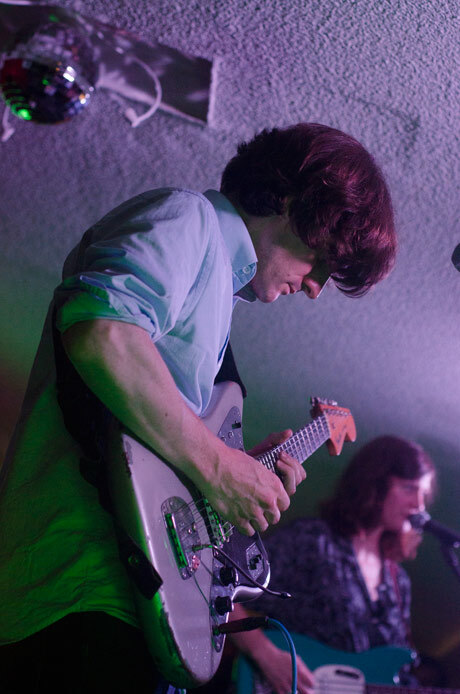 Guitarist Peter Woodford and bassist Caitlin Loney traded lead work in effortless fashion, while drummer Michael Wright held a tight grip on the sticks in delivering his precise work on the skins. The later showing of some of their longer material resulted in a strong finish.